PowerHikers visited Seattle to launch the latest book, PowerHiking Seattle, and were met with fabulous fall color. The weather was cold and damp but the stunning colors were worth it. 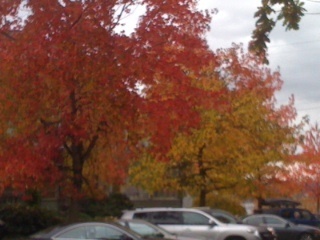 The trees were all shades of yellow, orange, red, green and brown. The streets, views and mountains were beautiful. Seattle is definitely a spot to visit in the fall. Enjoy! You are currently browsing the Powerhiking's Blog blog archives for December, 2011.